Well I’m at it again! 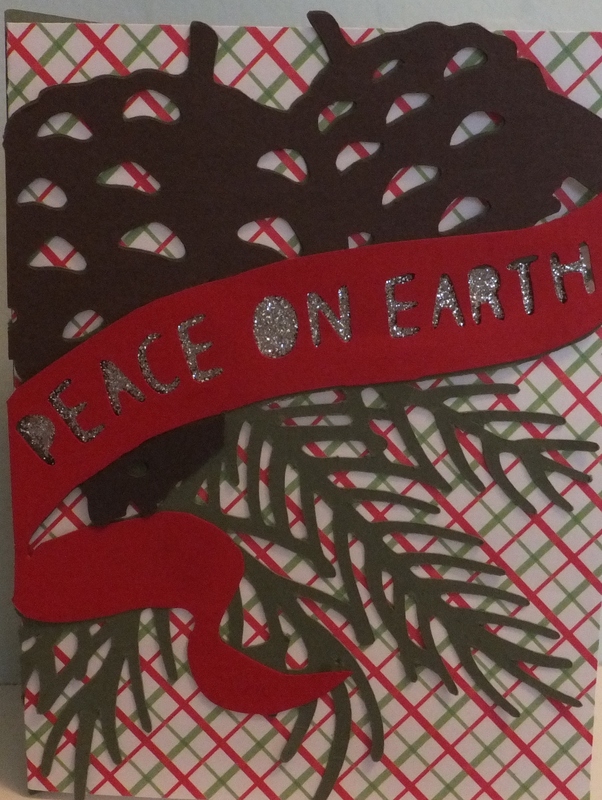 Yet another post from the Free Cricut Craft Room Holiday Cards. This card is #50. If you missed the free cut, you can purchase the digital cut for $1.99. 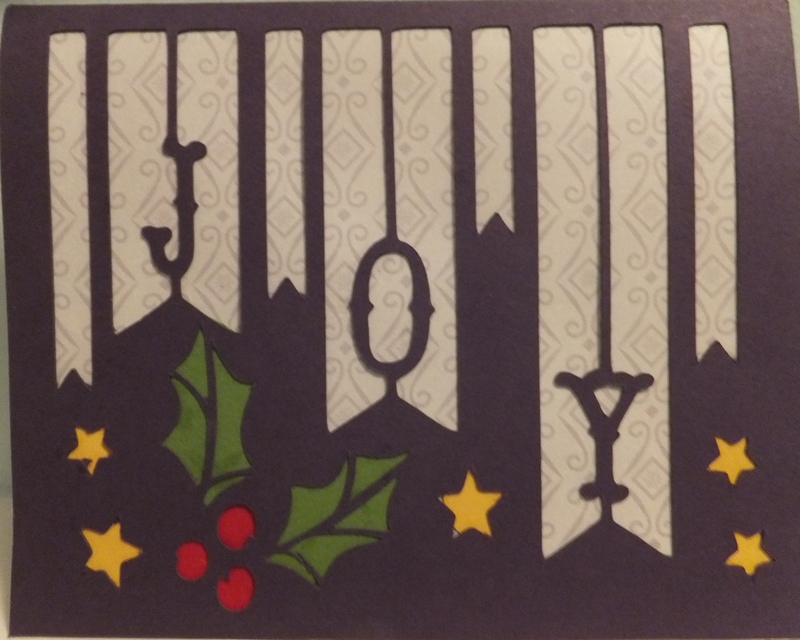 Here is Holiday Card #30! This is Holiday Card #22. 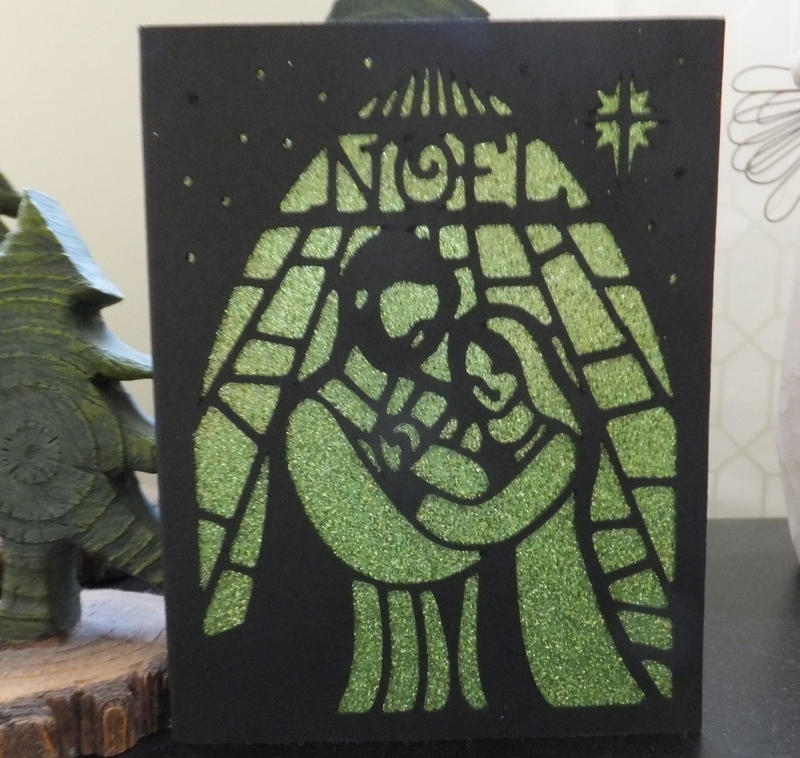 I must admit I have had problems with my cuts on these Holiday Cards. 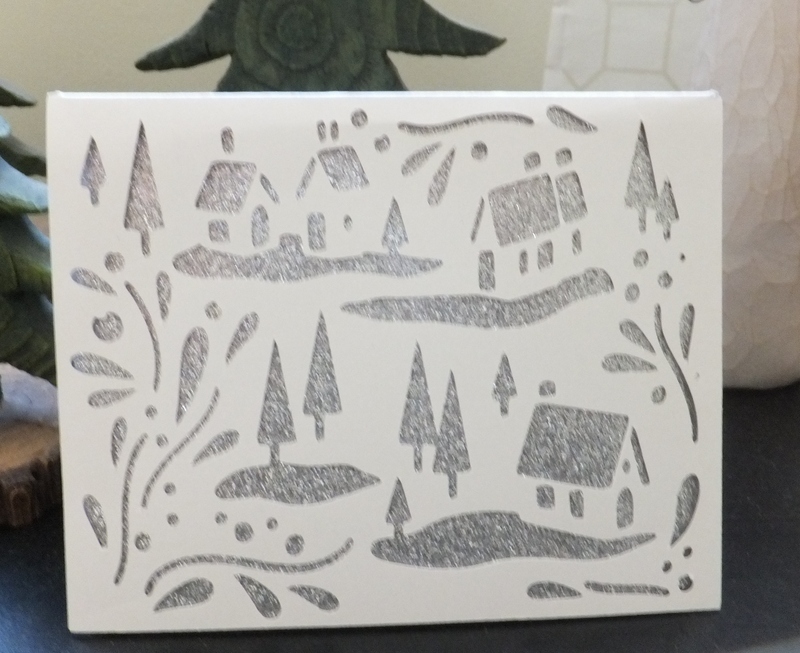 I like to use Stampin Up paper for my cards and the Cricut does not like to cut it. I even changed my blade and cut on 6 with the pressure turned up. If you look close you can see the card is missing the right half of the bow. 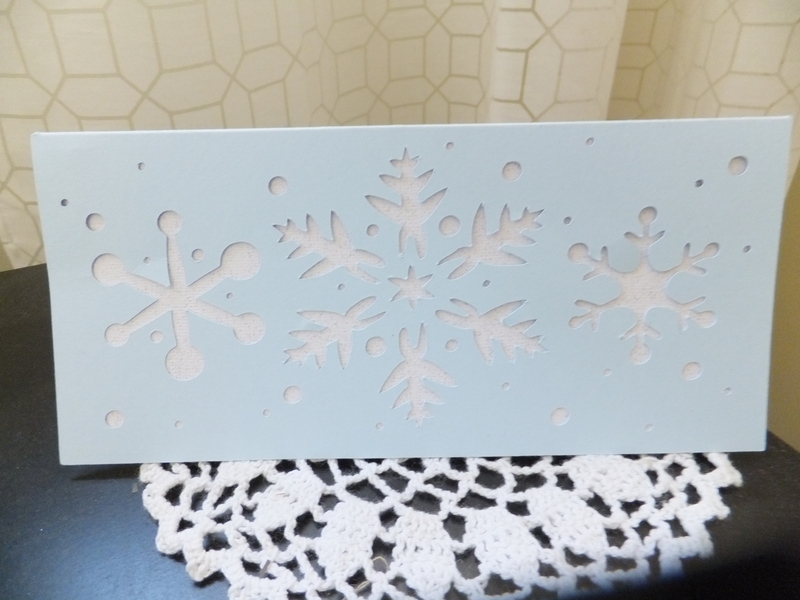 I cut this out of white and green and then cut off the green snowflakes. This is Holiday card # 32. 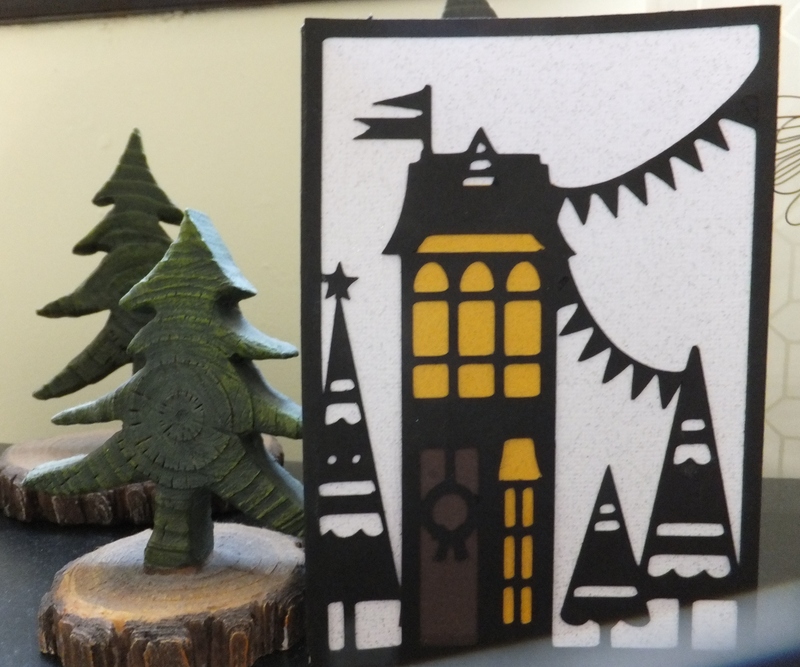 I wanted to break out in song (Over the River and through the Woods…) when I cut this card. 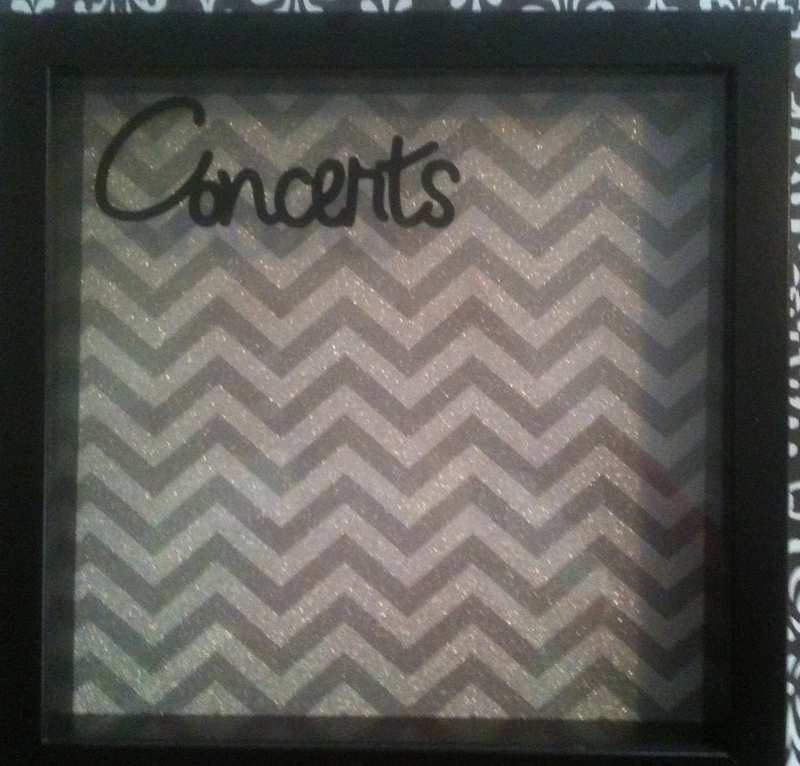 I used silver glitter paper behind the cut. 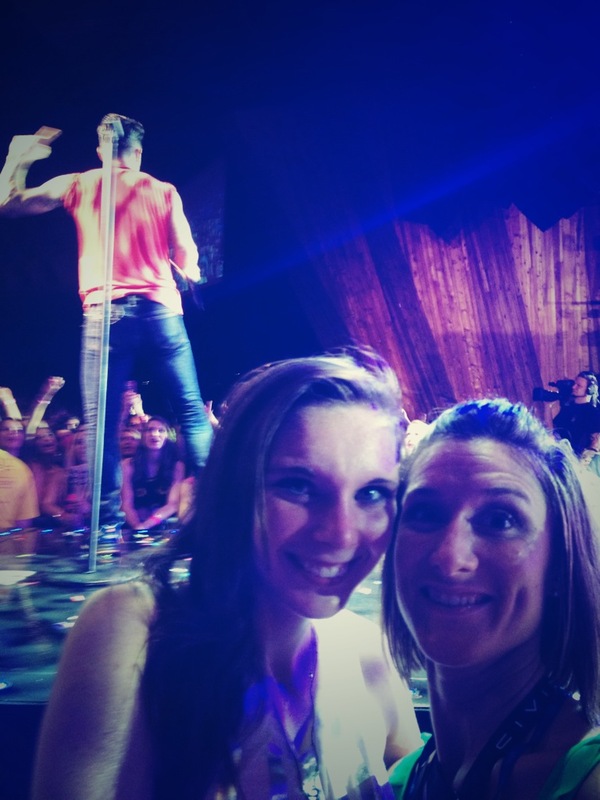 Anyone who knows me will get a big laugh on this one! I can not throw away anything. 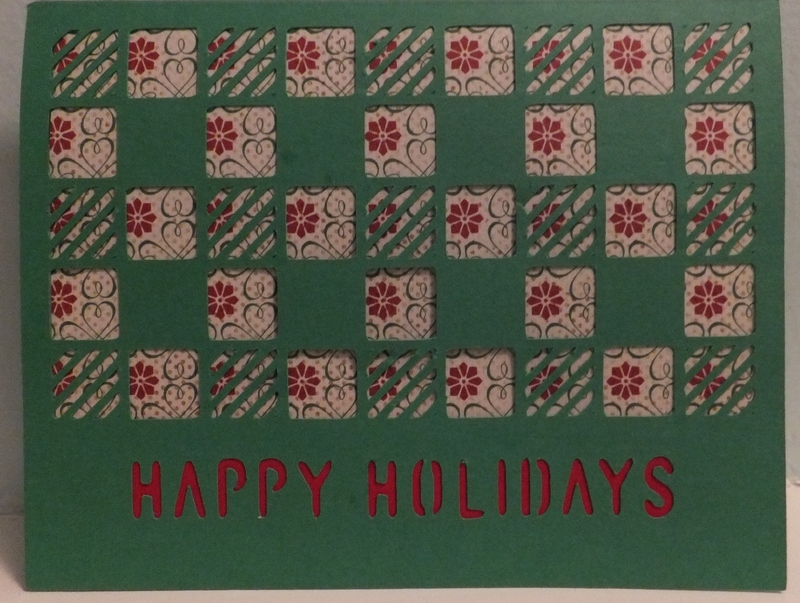 This card was made from the cuts out of Holiday cards #32 and #25. The blue paper is has glitter on it, but it really doesn’t show up in the picture. 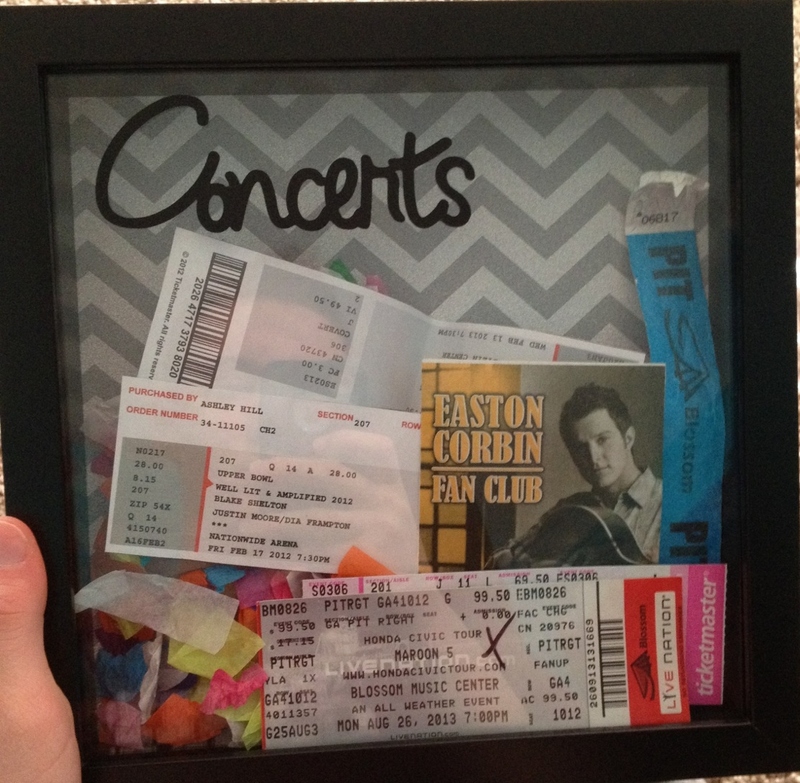 To my followers that don’t have a Cricut…please hang in there. I will be posting other crafts and recipes soon!! 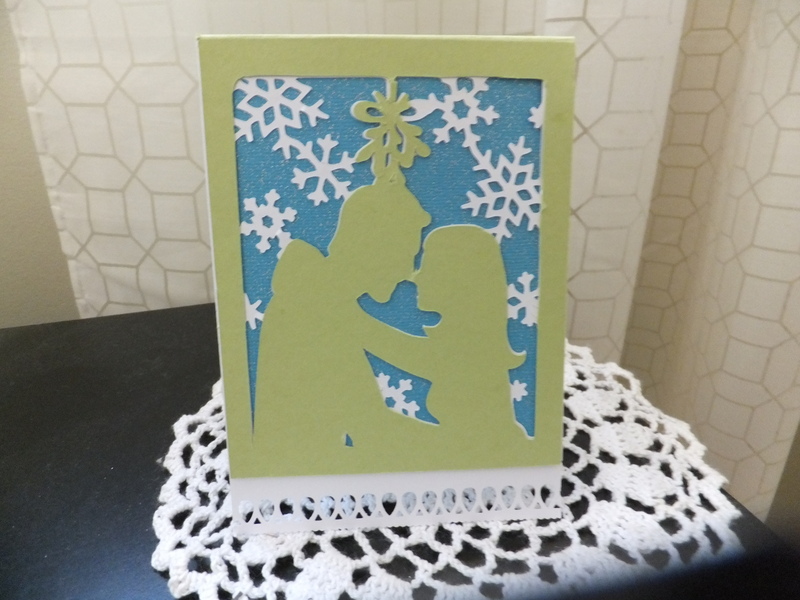 I am still posting the Holiday Card Cuts that are available in the Cricut Craft Room. This is Holiday Card #49. If you miss the FREE cuts, you can purchase the cuts for $1.99. I love this card. It is Holiday Card #33. It was one of the easier cuts and very striking. 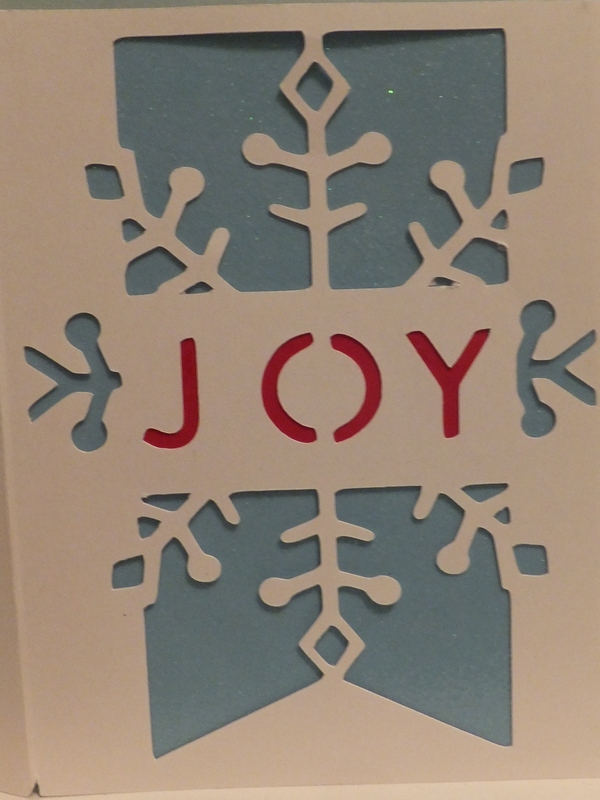 The blue snowflake was left from the cut for card #20. 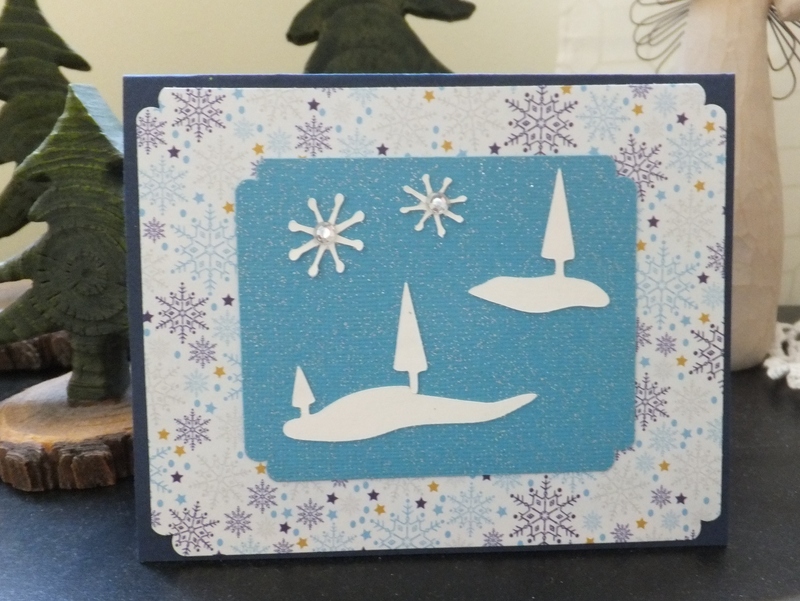 I used a really light blue for this card, so it didn’t photograph well. It is card #20. This was another one of my favorite cuts. It is Holiday Card #20. 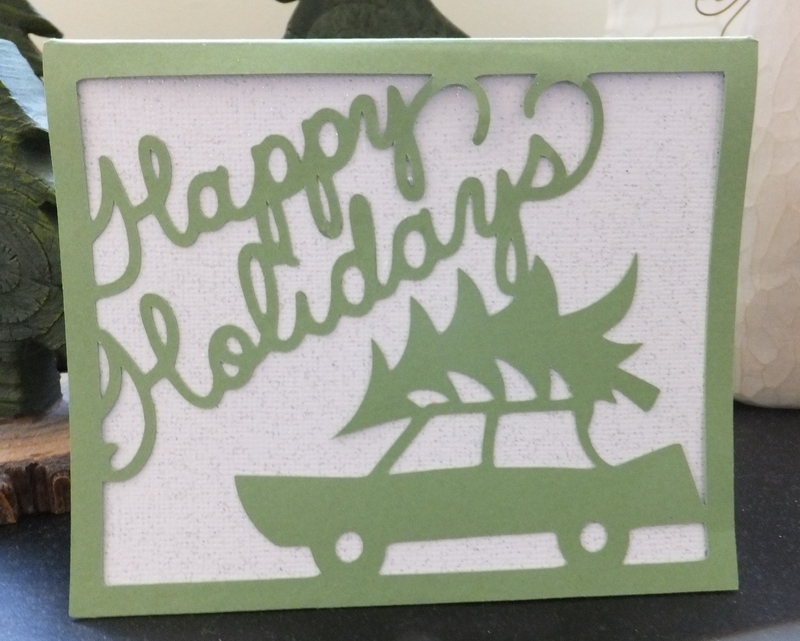 Hope you are enjoying your Cricut this Christmas Season!! 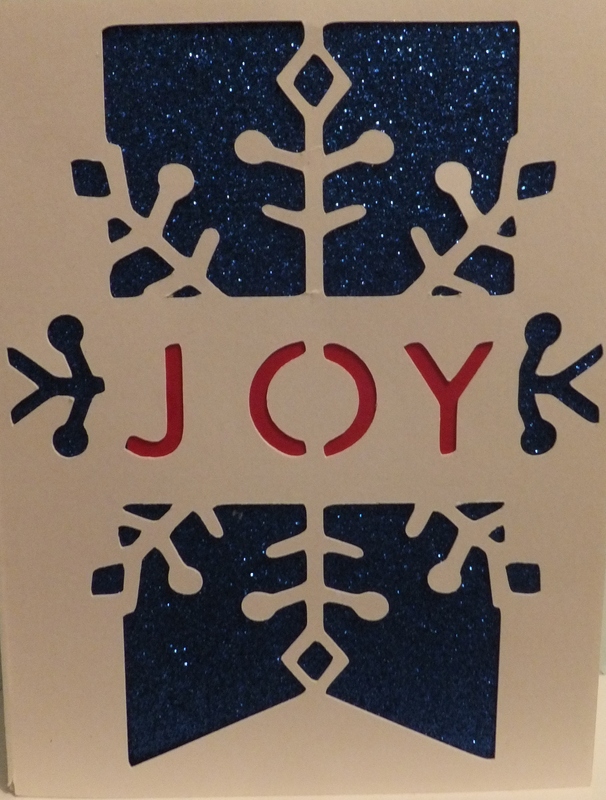 This is a Holiday Card that you can purchase in the Cricut Craft Room for $1.99. It is Holiday Card #25. I added a few crystal stickers. This was a pretty easy card to make. Enjoy!! 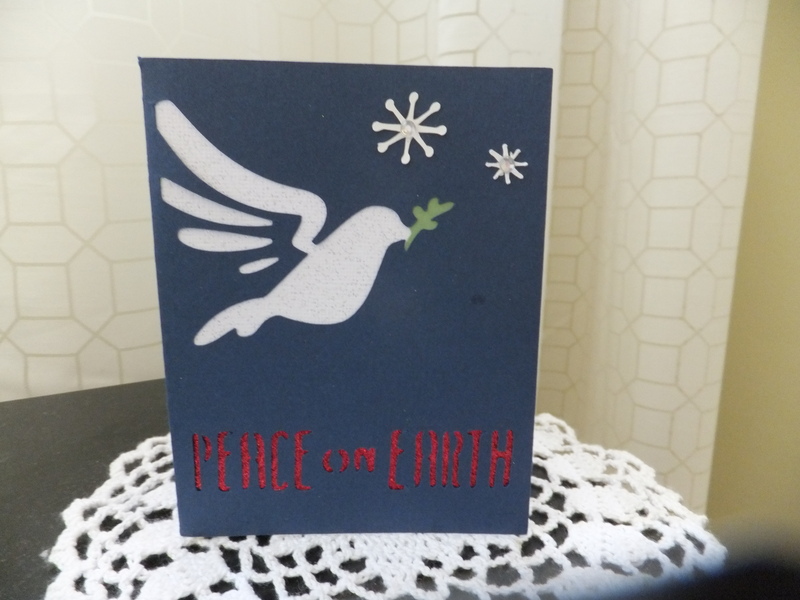 Today the FREE Holiday Card in the Cricut Craft Room is #36. I had to make 3 cuts for this card. (brown, red and green) I wish they would have included a layer option. I felt like I was wasting a lot of paper. It feels like Christmas here today since we had a “snow day” from school. I worked on my cards and a t-shirt quilt for my son-in-law. My hubby just came in from the cold with a large Candy Cane Hot Chocolate from Tim Hortons….does it get any better then this day!! Don’t forget to visit the Cricut Craft Room. If you missed this FREE cut, you can purchase it for $1.99. Just select the BUY option. 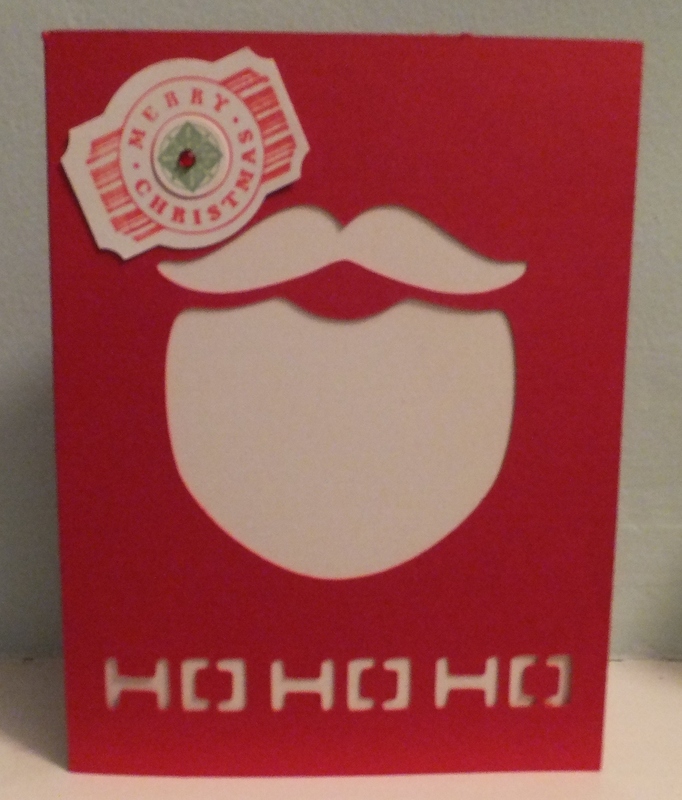 I hope you have been taking advantage of the Free Holiday Christmas Cards in the Cricut Craft Room. This is Card #10. If you miss the Free cut, you can purchase all the cuts at Cricut.com for $1.99! 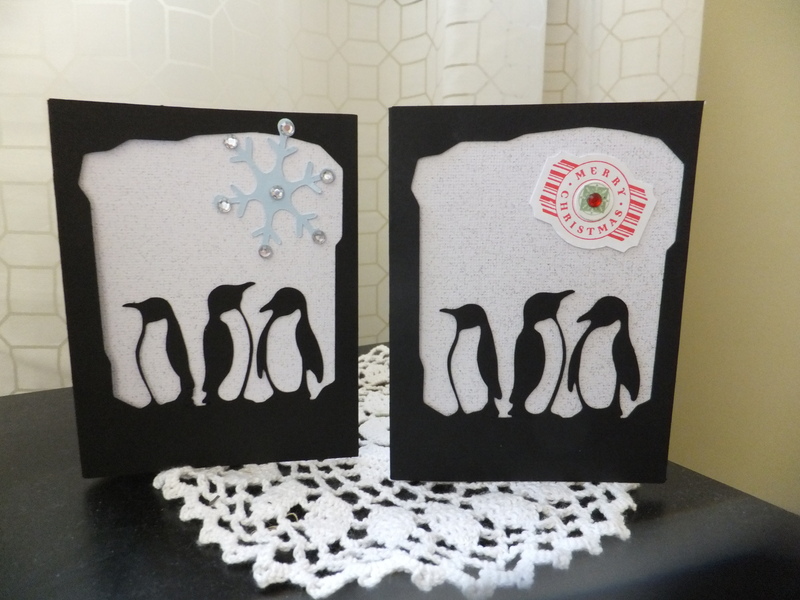 I really didn’t get a great picture of this card,(#23) but here are a couple of versions. They added 7 cards today. The other cards were only on for one day, so I am not sure how many days they will leave the cards on this week. This is # 46. 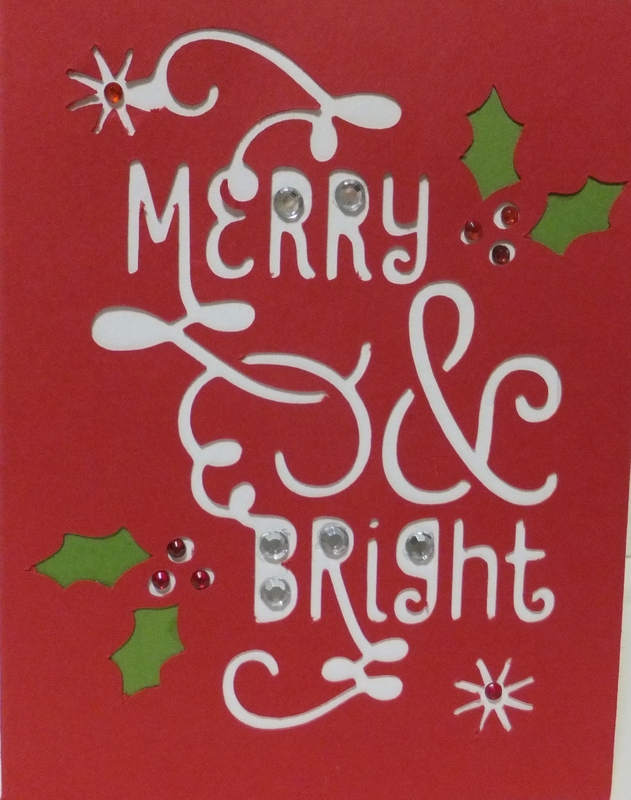 Be sure to visit the Cricut Craft Room each day to get a head start on your Christmas cards. Happy cutting!! You can also find some FREE Autumn cuts this week!